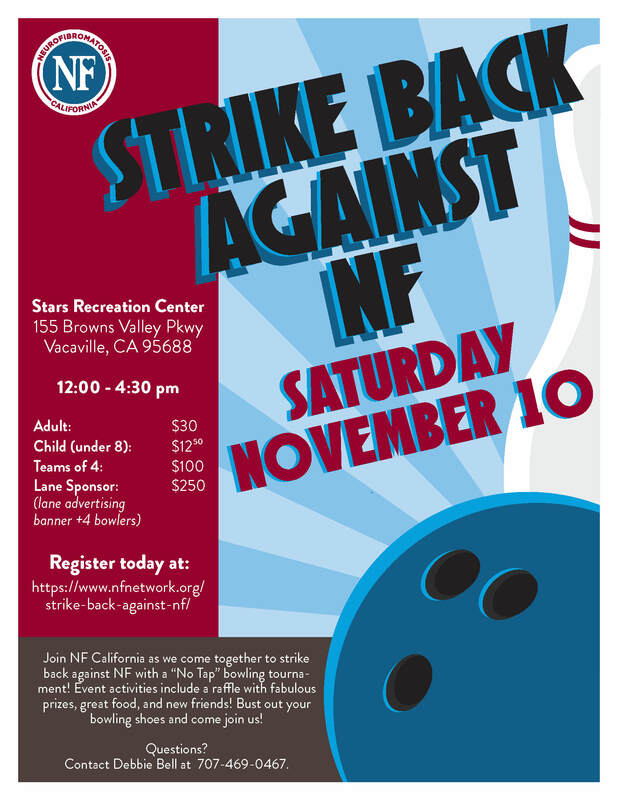 Neurofibromatosis California invites you to the first ever Strike Back Against NF "No Tap" bowling tournament! Come join us on November 10th at Stars Recreation Center in Vacaville, CA for an afternoon of bowling, raffles, and new friends! To download and print the pledge sheet, click here. To download and print the event poster, click here. For questions, please contact Breanna at 630-510-1115 or bbronowskistutsman@nfnetwork.org.